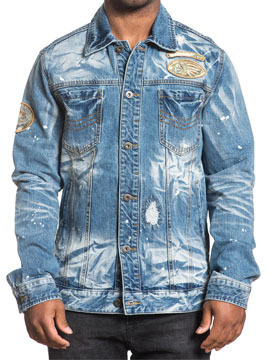 Affliction American Customs Cam mens long sleeve button up denim trucker jacket features premium blue denim with two chest pockets, Affliction American Customs Indian skull embroidered logo patch accented with distressed sanding, holes and bleach splatter across the front. The black features a large eagle near one side, disstressed sanding, holes and bleach splatter creates an edgy look. 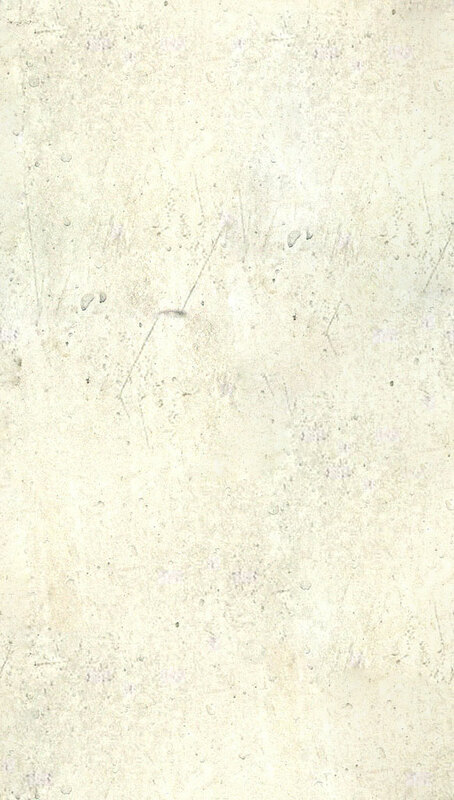 Heavy wash gives it a distressed and vintage look. 100% Cotton, Medium weight, Side zipper vents, Column Stitch Embroidery, Custom Hardware, Slim fit. Color: antique blue.